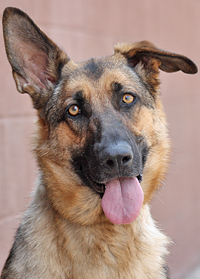 Sheena von Sleigh is an adorable 1-2 year old German Shepherd. 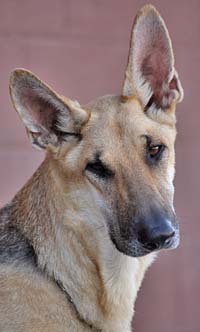 Goldie von Geiger is the sweetest 2-3 year old German Shepherd. 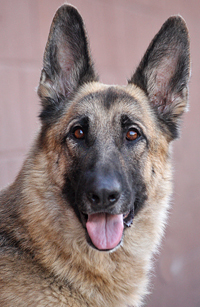 Bella von Montanez is a beautiful 5 year old AKC German Shepherd. 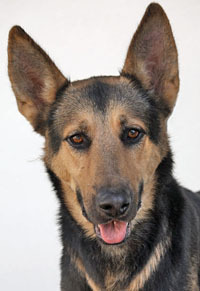 Luna von Bark is a delightful 1-2 year old German Shepherd. 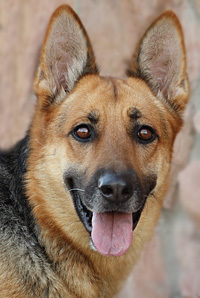 Aurora von Aslan is a gorgeous 4 year old German Shepherd. 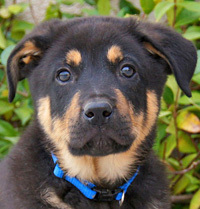 Koby von Kringle is a sweet and playful 9 week old puppy. 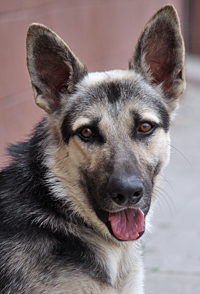 Franklin von Fabulous is a stunning 2 year old German Shepherd mix. 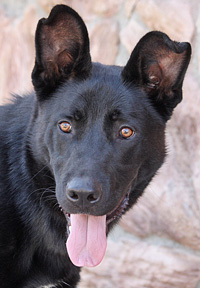 Blane von Beloved is a gorgeous 12 month old black sable German Shepherd. 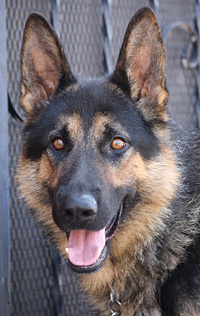 Henry von Hennef is a gorgeous 6 month old German Shepherd. 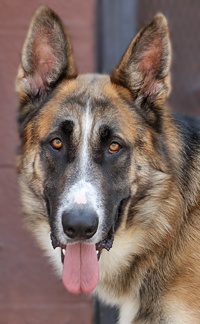 Jack von Jessen is a gorgeous, XLarge 14 month od German Shepherd. 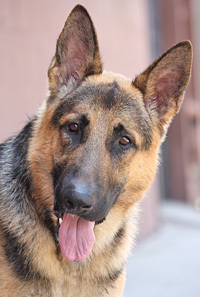 Bruno von Buckow is an adorable10 month old German Shepherd. 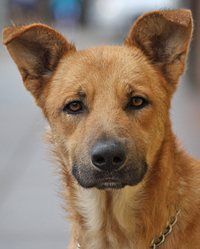 Stefan von Stein is an adoable 12 month old Shepherd mix. 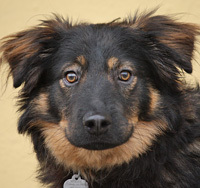 Sidney von Derrick is an adorable little 16 month old mix of fluffness on the smaller side. 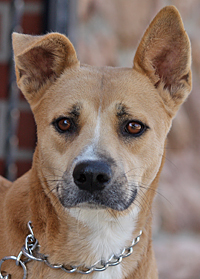 Cubby von Chlodwig is a delightful smaller sized 2 year old Shepherd mix. 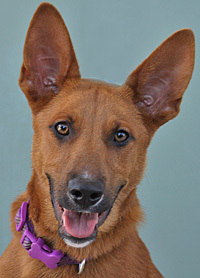 Clyde von Barrow is an adorable 2 year old mix of cuteness. 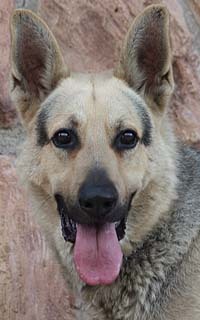 Jazzy von Jenna is the sweetest 1-2 year old German Shepherd. 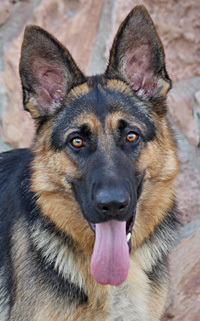 Roxy von Romey is a beautiful 11 month old German Shepherd. 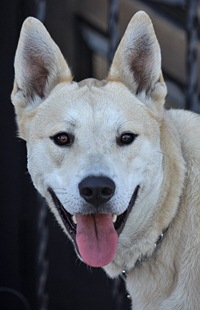 Clementine von Carol is a gorgeous 10-12 month old Husky mix. 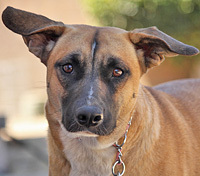 Goldie von Gertie is a wonderful 11 month old Shepherd mix. 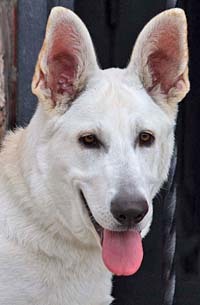 Blue von Weiss is a beautiful 7.5 month old white German shepherd puppy. 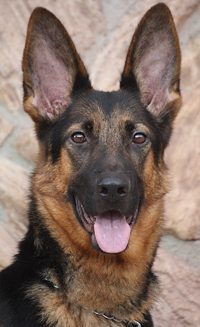 Jordan von Johstadt is the sweetest 12 month old German Shepherd on the smaller side. 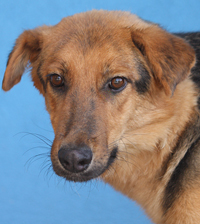 Lady von Ladenburg is a delightful 2-3 year old German Shepherd. 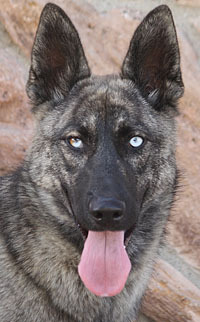 Okami von Ochtrup is a gorgeous 2 year old German Shepherd. 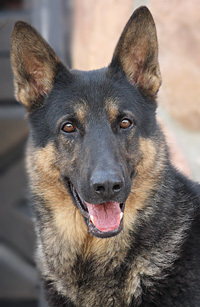 Rex von Rikert is a very handsome 3 year old German Shepherd. 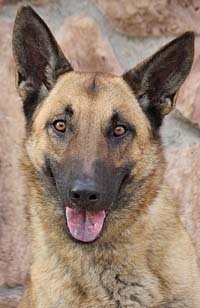 Sherwin von Siegfried is a stunning 18 month old sable German Shepherd with maybe a touch of Malinois. 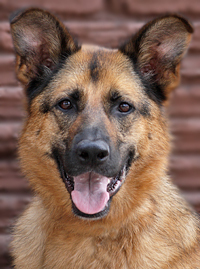 Matt von Mittweida is a gorgeous 18 month old German Shepherd. 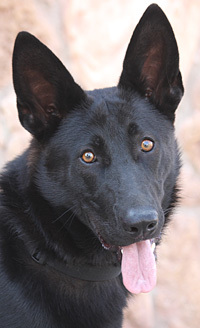 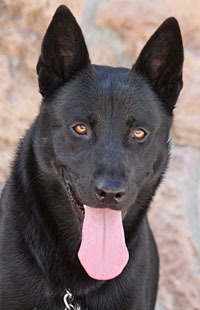 Sirius von Schwager is a beautiful 1-2 year old black German Shepherd. 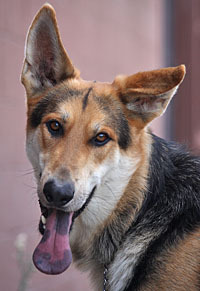 Buck von Bruder is a very handsome 1-2 year old German Shepherd with maybe a touch of Collie. 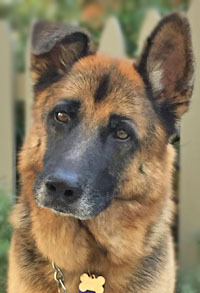 Rusty von Rosenberg is a stunning 6 year old German Shepherd. 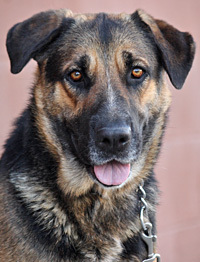 Ruben von Rerick is a very handsome 2-3 year old German Shepherd mix. 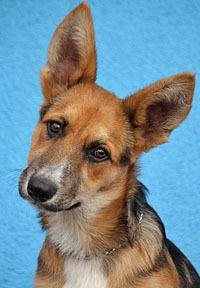 Lucy von Lychen is an adorable 4 month old German Shepherd mix puppy. 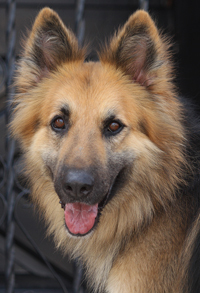 Joyful von Jolly is a gorgeous 4 year old German Shepherd. 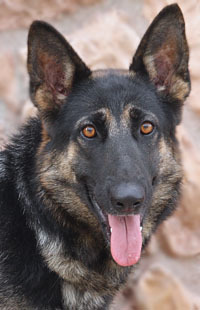 Athela von Adelinde is a beautiful 18 month old German Shepherd. 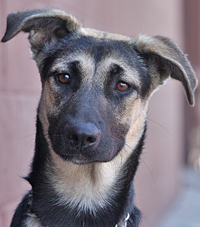 Polly von Penzer is the sweetest 12 month old Shepherd mix. 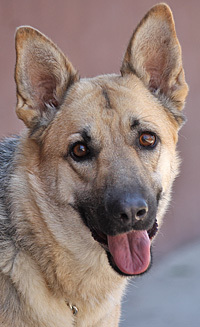 Seraphine von Selb is a gorgeous 2-3 year old German Shepherd. 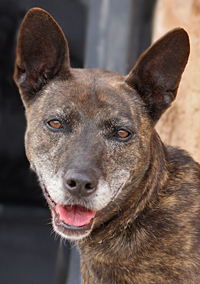 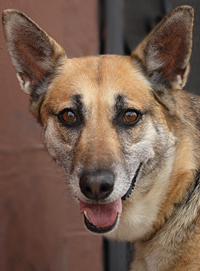 Maya von Maddalena is a beautiful 4 year old Shepherd mix on the smaller side. 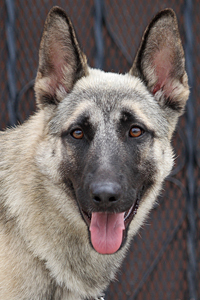 Sable von Sahne is a beautiful 12-14 month old sable German Shepherd mix. 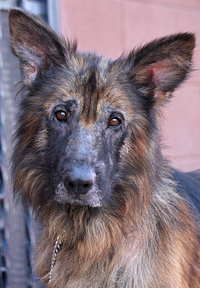 Dakota von Diehl is a gorgeous 6 year old long haired German Shepherd. 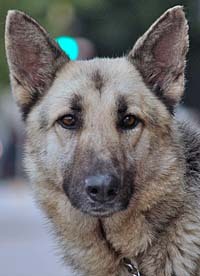 Drew von Dirk is a beautiful 2 year old, smaller sized German Shepherd. 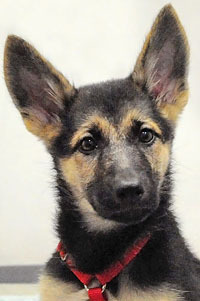 Sootie von Ashen is the cutest 10-11 week old German Shepherd mix puppy. 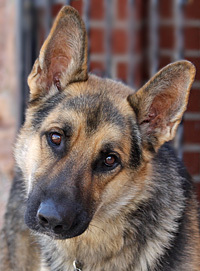 Ricky Von Rickert is a stunning 2 year old German Shepherd. 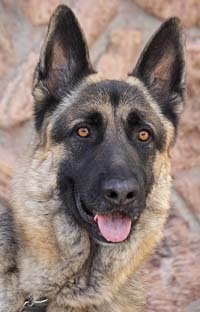 Chavo von Cham is a gorgeous 18 month old German Shepherd. 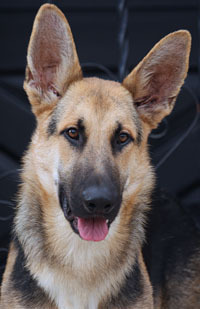 Nicky von Niklaus is a gorgeous 7-8 month old German Shepherd. 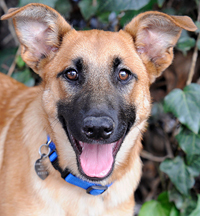 Bentley von Bensheim is an adorable 9-10 month old Shepherd mix. 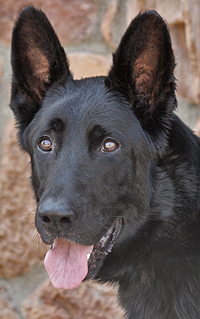 William von Willich is the most adorable 10 month old coated German Shepherd on the smaller side. 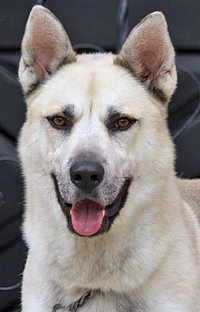 Marshall von Munich is a beautiful 2 year old Husky mix - goofball. 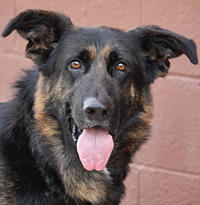 Kensington von Koenig is a large and stunning 2 year old German Shepherd mix. 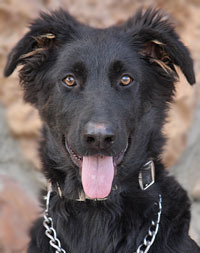 Neron von Norbert is a delightful 10-11 month old German Shepherd mix. 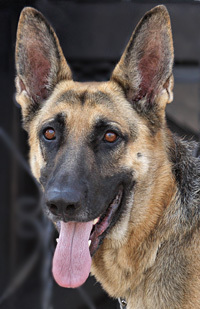 Rochelle von Romey is a beautiful 18 month old German Shepherd. 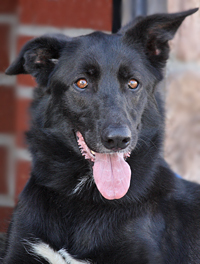 Cashmere von Kasimira is a stunning 2 year old German Shepherd mix. 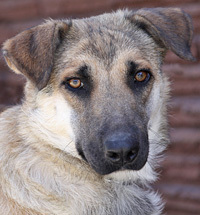 Nana von Nebel is the sweetest 1-2 year old Shepherd mix. 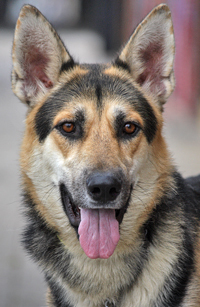 Elsa von Elstra is a beautiful 2 year old German Shepherd. 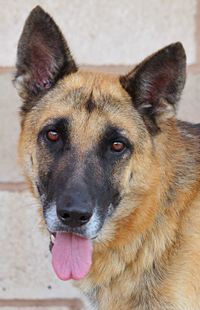 Clementine von Celle is a gorgeous 3-4 year old German Shepherd. 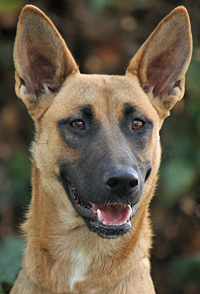 Tally von Traunstein is an adorable 5 month old Malinois mix puppy. 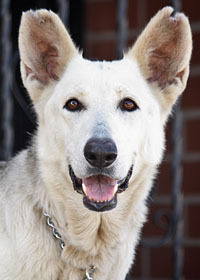 Faith von Bryant is a beautiful 2.5 year old coated German Shepherd. 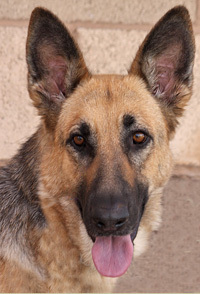 India von Irmalinda is a beautiful 1-2 year old German Shepherd. 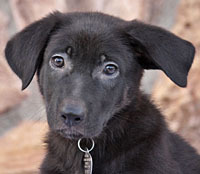 Aphrodite von Olympia is an adorable 8 week old Shepherd mix puppy. 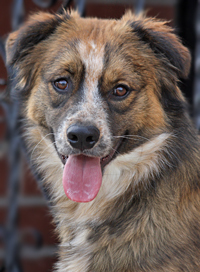 Wiley von Wittenberg is a gorgeous 12 month old German Shepherd/Aussie mix. 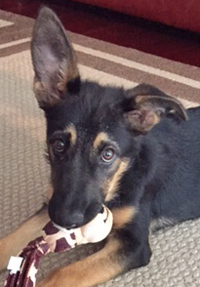 Macy von Maritza is an adorable 3-month old German Shepherd puppy. 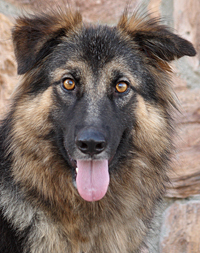 Jazmine von Ziska is a gorgeous 18 month old long haired German Shepherd. 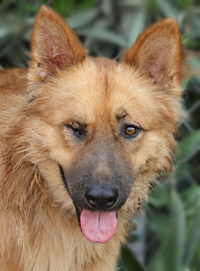 Hans von Hallenberg is a beautiful 1-2 year old German Shepherd. 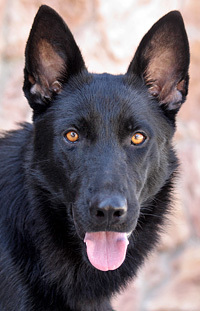 Auggie von Price is a stunning red and black 14 month old German Shepherd. 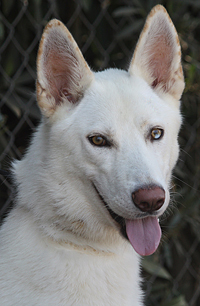 Blizzard von Zittau is a gorgeous 1-2 year old white German Shepherd mixed with maybe a touch of Husky. 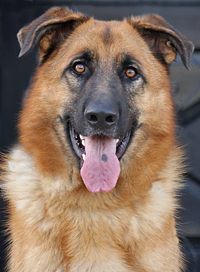 Marlon von Marbach is a stunning 2 year old German Shepherd. 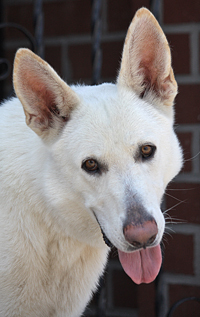 Ghost von Casper is a beautiful 3 year old white German Shepherd. 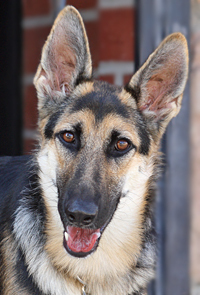 Lola von Price is a stunning 10 month old German Shepherd. 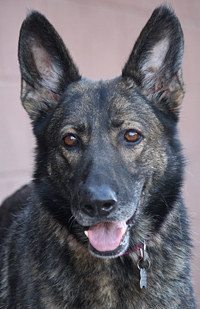 Carrie von Calbe is a stunning 2 year old German Shepherd with a touch or Dutch Shepherd. 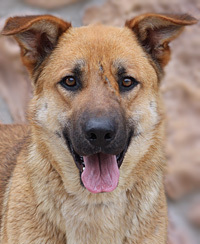 Khloe von Kassel is the sweetest 2 year old shepherd mix. 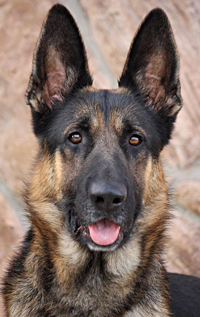 Smokey von Sjoerd is a beautiful 4 year old German Sherpherd. 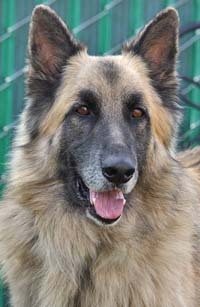 Sigmund von Freud is a stunning and large 5 year old Geman Shepherd. 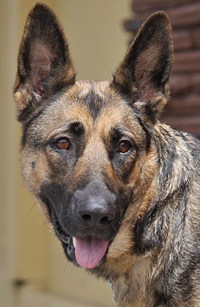 Zephyr von Zeven is a wonderful 2 year old coated German Shepherd. 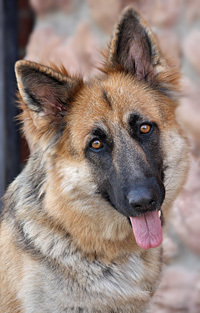 Liesel von Lieberose is a gorgeous 14 month old German Shepherd. 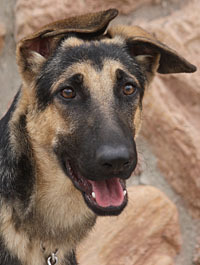 Rianne von Rapunzel is a gorgeous 10-12 month old German Shepherd. 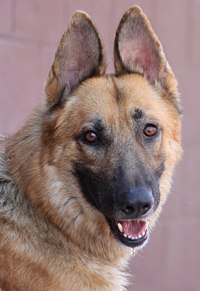 Windy von Wagen is a gorgeous 18 month old German Shepherd. 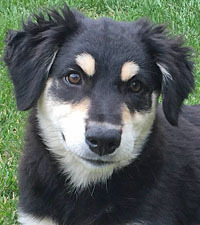 Freddie von Cutie is an adorable 12 week old Bernese Mountain dog mix puppy. 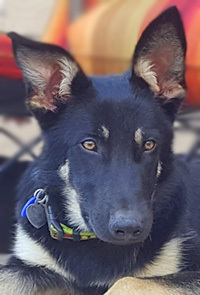 Kuma von Koblenz is the cutest 6 month old German Shepherd puppy. 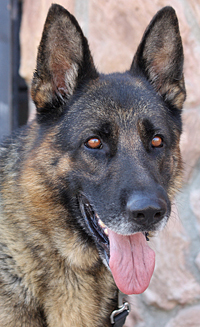 Captain von Adelmar is a gorgeous XLarge 4 year old German Shepherd. 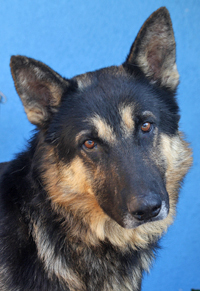 Roscoe von Adelmar is the sweetest 4 year old German Shepherd. 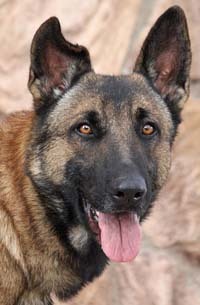 Lived with kids! 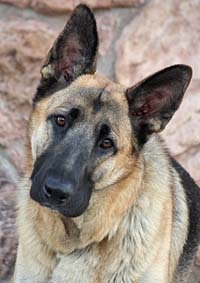 Love bug! 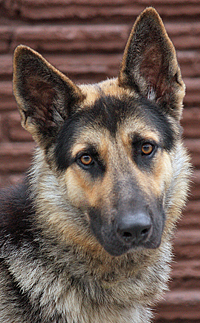 Harlan von Halve is a beautiful 12 month old German Shepherd. 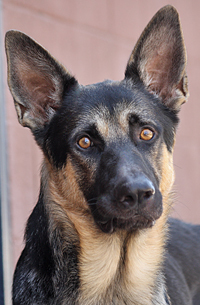 Atlas von Augen is a gorgeous 12 month old German Shepherd. 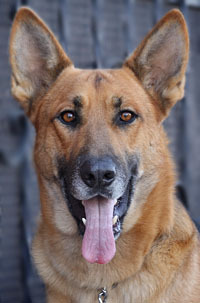 Andy von Augsburg is a stunning 18 month old German Shepherd. 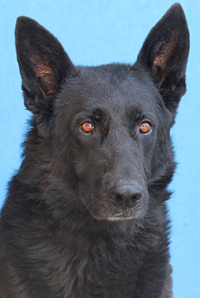 Fargo von Finkel is a gorgeous 3 year old black sable German Shepherd. 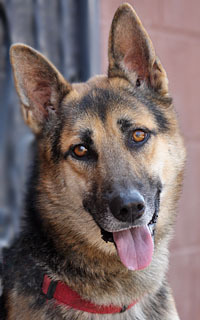 Diesel von Diez is a gorgeous, Xlarge 2 year old German Shepherd. 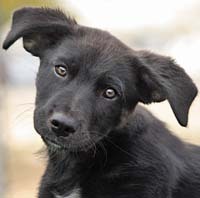 Eris von Olympia is an adorable 8 week old Shepherd mix puppy. 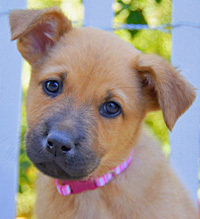 Phoebe von Olympia is an adorable 8 week old Shepherd mix puppy. 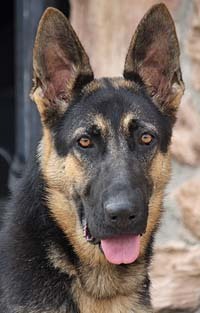 Talitha von Taucha is a stunning 8 month old German Shepherd. 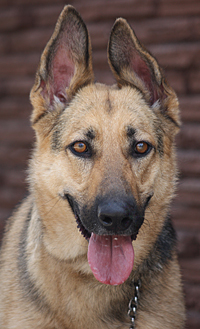 Valerie von Varel is a stunning 1-2 year old coated German Shepherd. 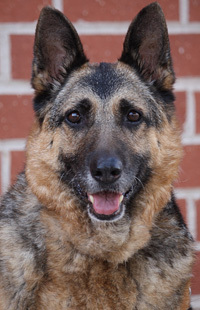 Annie von Annaburg is a beautiful 4-5 year old German Shepherd. 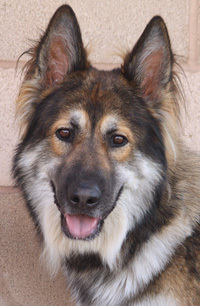 Ellie von Essen is a delightful 2 year old long haired German Shepherd. 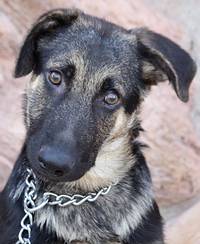 Hoss von Herzig is a beautiful 4 month old Shepherd mix puppy. 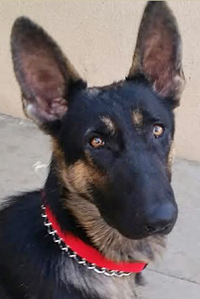 Hermes von Herten is an adorable 6-7 month old German Shepherd pup. 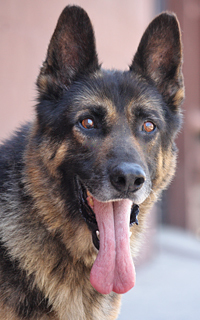 Rufus von Ringer is a wonderful 3 year old German Shepherd. 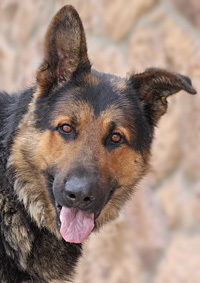 Lionel von Liutbert is a gorgeous 3-4 year old German Shepherd. 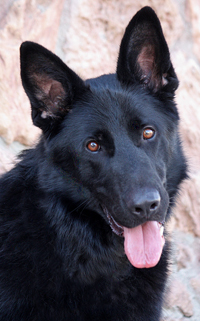 Dexter von Drebkau is a beautiful 16 month old German Shepherd. 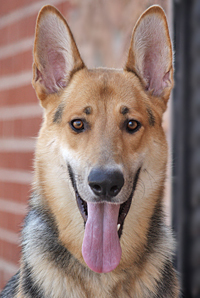 Louie von Lucky is a stunning 18 month old German Shepherd. 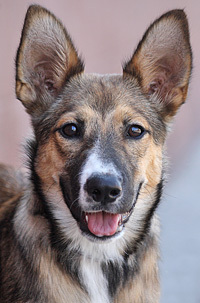 Lassie von Herzig is the cutest 4 month old Shepherd mix puppy. 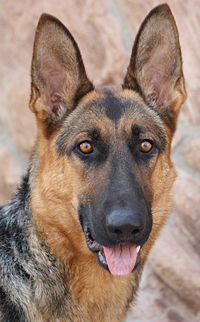 Reyna von Rehau is a stunning 12 month old German Shepherd. 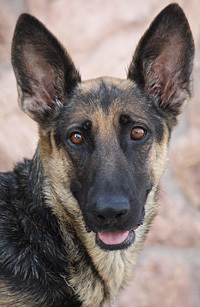 Jillian von Jennel is a gorgeous 14 month old smaller sized German Shepherd. 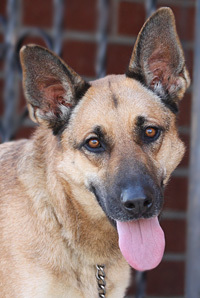 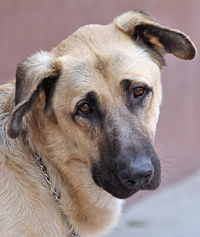 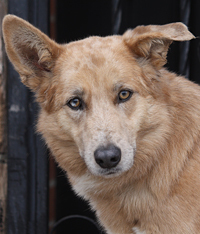 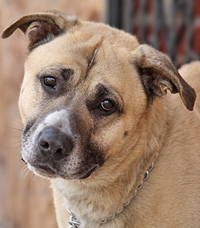 Lulu von Ludwigsburg is a delightful 3-4 year old Shepherd/Retriever mix. 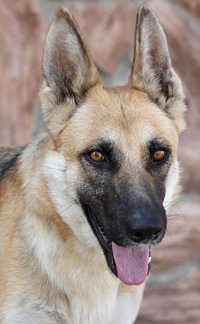 Doreen von Slonina is a beautiful 4 year old German Shepherd. 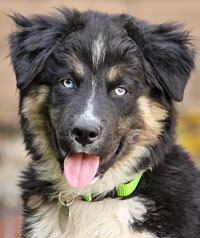 Bluie von Cutie is a delightful 12 week old Bernese Mountain dog mix puppy. 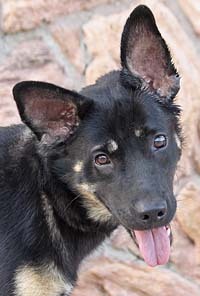 Cubby von Cossate is a delightful 4 month old German Shepherd mix puppy. 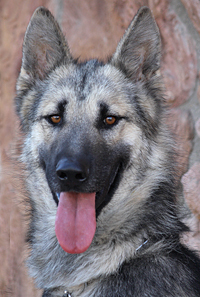 Wolf von Wrinkle is a wonderful 12 month old German Shepherd. 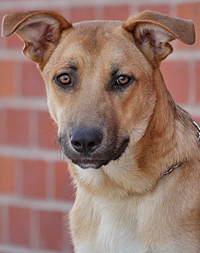 Cheerio von Cottbus is the sweetest 14 month old Shepherd mix on the smaller side. 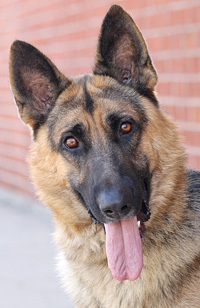 Bishop von Bishof is a beautiful 2 year old German Shepherd. 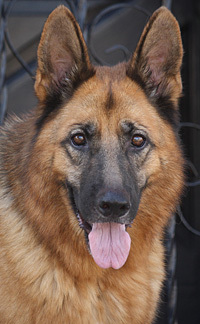 Simba von Jasmin is a gorgeous 4 year old German Shepherd. 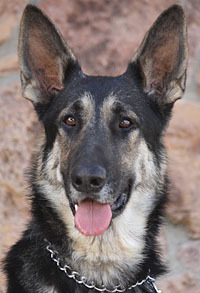 Woody von West is a very handsome 12 month old German Shepherd on the smaller side. 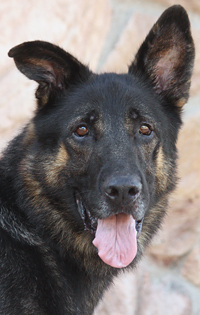 Trooper von Tjark is a wonderful 4-5 year old German Shepherd. 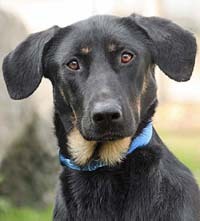 Carter von Calau is a wonderful 2 year old Shepherd/Lab mix. 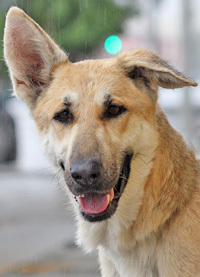 Good with small dogs and cats! 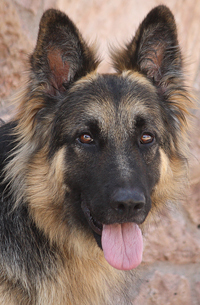 Sonia von Solms is a delightful 5-6 month old Geman Shepherd puppy. 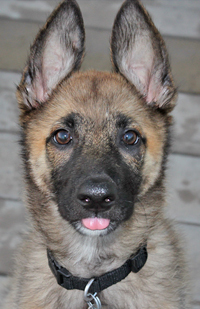 Paige von Prinzessin is the most adorable 10 week old German Shepherd puppy. 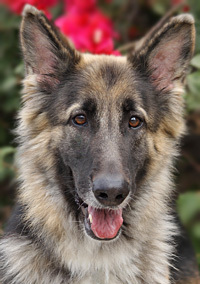 Rose von Rostock is a stunning 1-2 year old long haired German Shepherd. 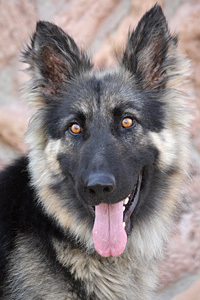 Millie von Millicent is a beautiful 8 month old long haired German Shepherd. 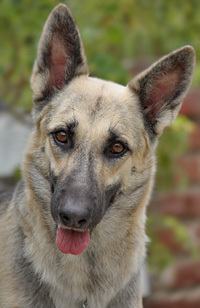 Jade aka Charlie von Janina is a gorgeous 16 month old sable German Shepherd. 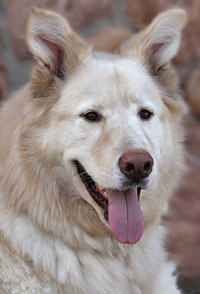 Jax von Jiel is a gorgeous 3 year old XXLarge German Shepherd/Great Pyrenees mix. 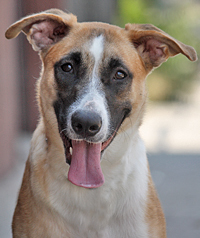 Rocket von Rostock is an adorable 12 month old Shepherd mix. 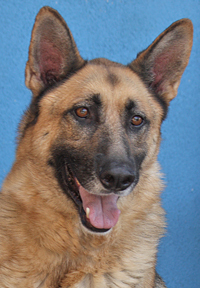 Charger von Seau is a woderful 3-4 year old German Shepherd. 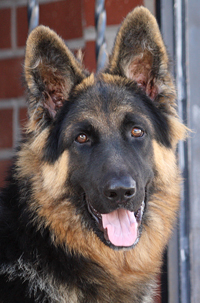 Duke von Dusseldhof is a beautiful 14 month old German Shepherd. 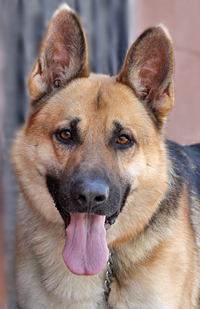 Winston von Wieder is a beautiful 2 year old German Shepherd. 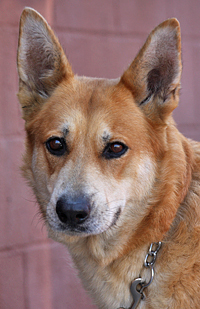 Burke von Berlin is an adorable smaller sized 2 year old Shepherd mix. 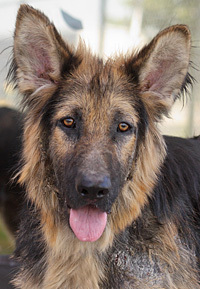 McLovin von Melle is a stunning 7-8 month old long haired German Shepherd. 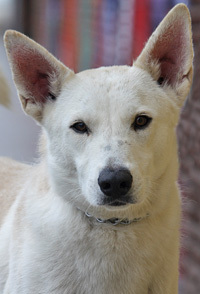 Sunshine von Seusse is an adorable 5 month old Shepherd/Carolina dog mix puppy. 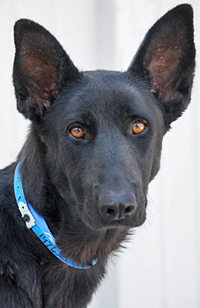 Mystic von Mitternac is a stunning 10-11 month old German Shepherd mix. 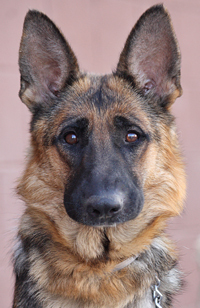 Etta von Ettenheim is a gorgeous 12 month old German Shepherd. 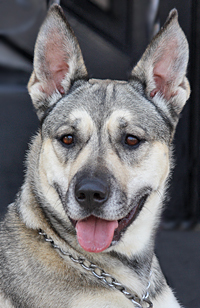 Athena Celena von Aue is a gorgeous 10 month old German Shepherd/Husky mix. 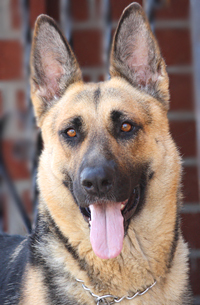 Bess von Best is the sweetest 18 month old German Shepherd love bug. 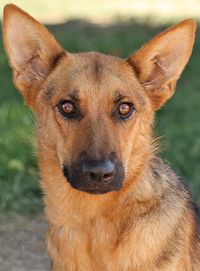 Jenny von Genf is an adorable 12 month old German Shepherd mix. 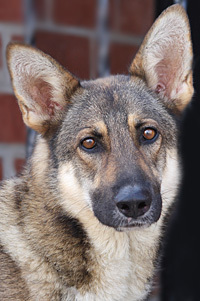 Susie von Stolpen is an adorable 9-10 month old German Shepherd. 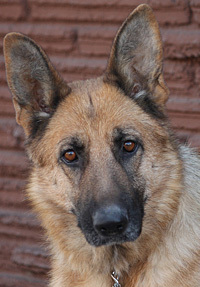 Anina von Amara is a beautiful 5-6 year old German Shepherd. 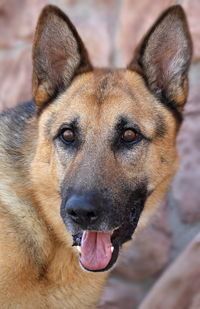 Beowulf von Bertram is a gorgeous 4-5 year old German Shepherd. 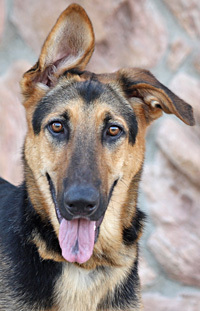 Rooney von Regen is an adorable 14 month old German Shepherd. 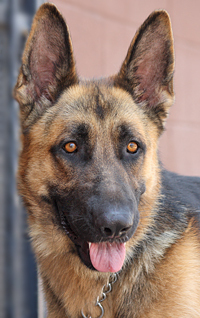 King von Kiefer is a stunning 16 month old German Shepherd. 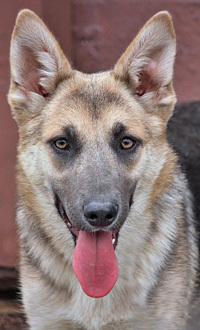 Suki von Stutensee is a beautiful 8-9 month old coated German Shepherd. 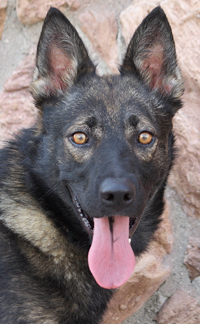 Bliss von Bietigheim is an adorable 11-12 month old smaller sized German Shepherd. 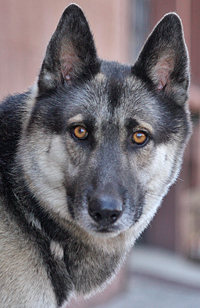 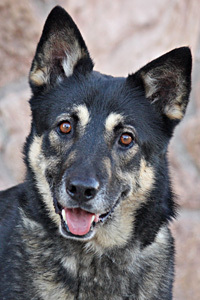 Liala von Lachen is a gorgeous 2-3 year old German Shepherd mixed with Husky. 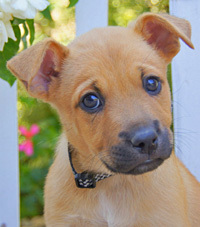 Irwin von Portia is an adorable 9 week old Shepherd mix puppy. 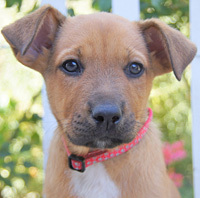 Melbourne von Portia is an adorable 9 week old Shepherd mix puppy. 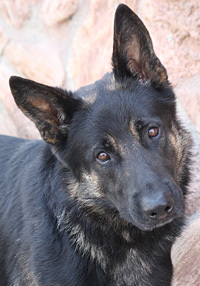 Ranger von Rick is a very handsome 2 year old German Shepherd. 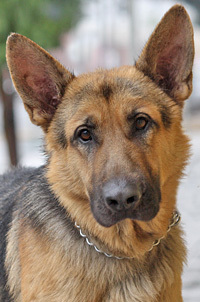 Grady von Genf is a very handsome 2 year old German Shepherd. 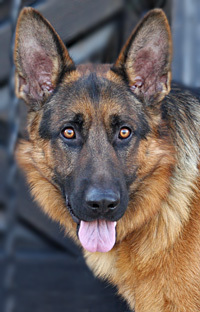 Brady von Bernhof is a stunning 2 year old German Shepherd. 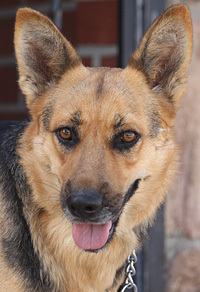 Abbie von Cofer is a beautiful 2-3 year old German Shepherd. 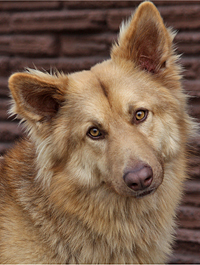 Sweetie pie. 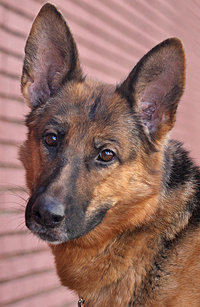 Sasha von Sassnitz is a stunning smaller sized, 3 year old German Shepherd. 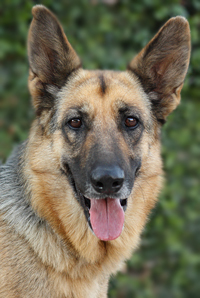 Esmeralda von Esens is a gorgeous 4 year old German Shepherd. 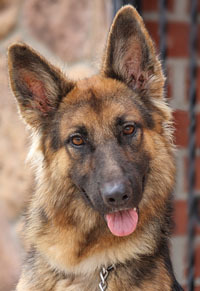 Princess von Prum is a gorgeous 10-12 month old smaller sized German Shepherd. 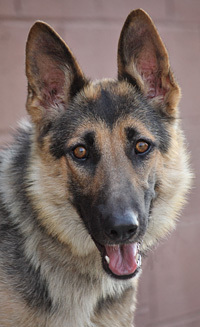 Lila von Loren is a gorgeous 2 year old German Shepherd. 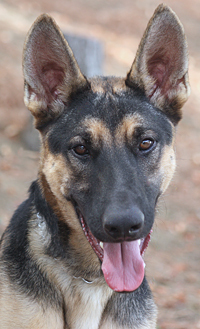 Olympia von Olching is a 10-11 month old German Shepherd. 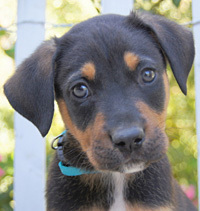 Matty von Portia is an adorable 8 week old Shepherd mix puppy. 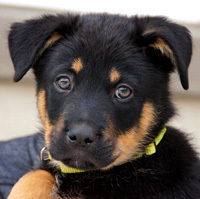 Hemsworth von Portia is an adorable 8 week old Shepherd mix puppy. 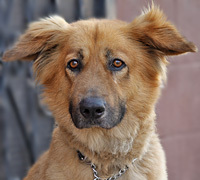 Buckeye von Bremen is a gorgeous 10-12 month old Shepherd-Golden Retriever mix. 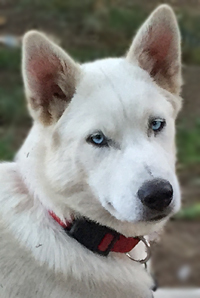 Grayson von Grob is a stunning 7 month old Malamute mix. 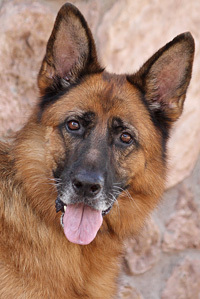 Hunter von Horstel is a gorgeous 6 year old German Shepherd. 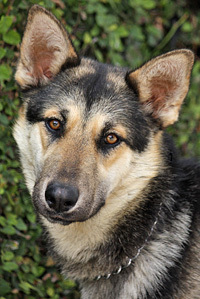 Chico von Coswig is a stunning 2 year old Husky/Shepherd mix. 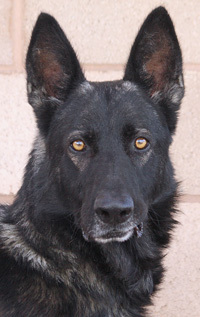 Dallas von Dermen is a very handsome 5 year old German Shepherd. 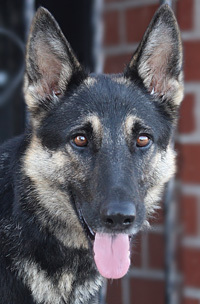 Cammie von Coblenz is a beautiful 2-3 year old German Shepherd - Love Muffin. 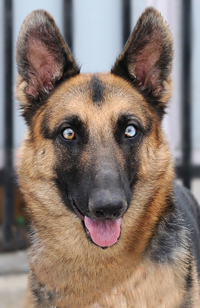 Noelle von Nurnberg is a stunning 3 year old German Shepherd. 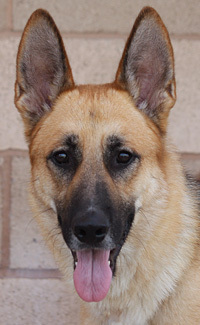 Tara von Tharandt is a gorgeous and sooo sweet 1-2 year old German Shepherd. 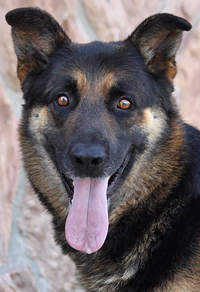 Ringo Star von Beatle is a wonderful 3 year old German Shepherd. 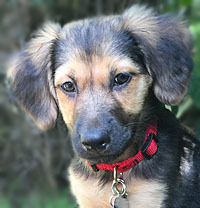 Minogue von Portia is an adorable 8 week old Shepherd mix puppy. 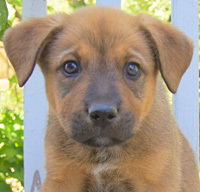 Sydney von Portia is an adorable 8 week old Shepherd mix puppy. 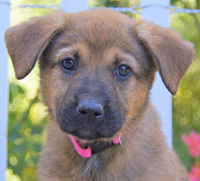 Elle von Portia is an adorable 8 week old Shepherd mix puppy. 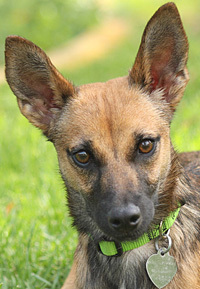 Peanut von Penig is the cutest 3-4 month old Shepherd mix puppy. 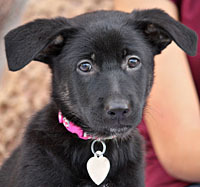 Adelaide von Portia is an adorable 8 week old Shepherd mix puppy. 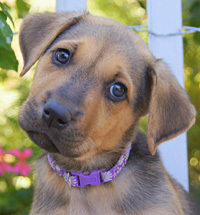 Olivia von Portia is an adorable 8 week old Shepherd mix puppy. 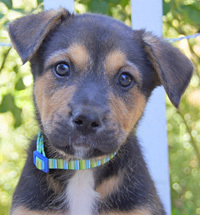 Brisbane von Portia is an adorable 8 week old Shepherd mix puppy. 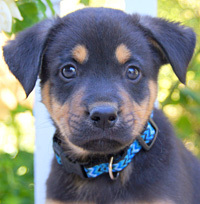 Heath von Portia is an adorable 8 week old Shepherd mix puppy. 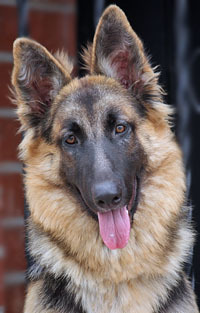 Cy von Clingen is a beautiful 12 month old German Shepherd. 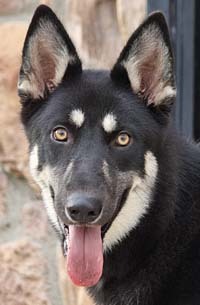 Papi von Pappenheim is a stunning 5 month old Husky/Shepherd mix. 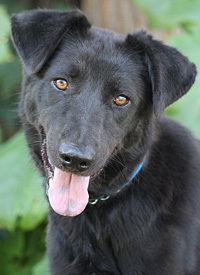 Bear von Brettan is a very handsome 2.5 year old Lab-Shepherd mix. 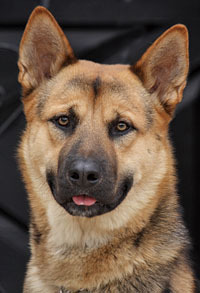 Romeo aka Beau von Rotger is a very handsome sweetie pie of a 2.5 year old German Shepherd. 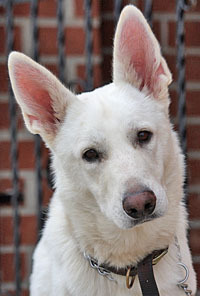 Earl von Ede is a stunning 12 month old white German Shepherd. 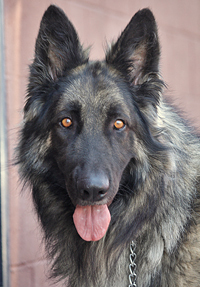 Vela von Velda is a gorgeous 16 month old long haired German Shepherd. 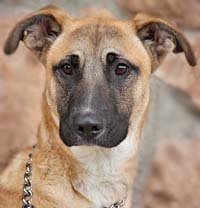 Aleah von Apfel is a beautiful 8 month old Shepherd/Malinois mix. 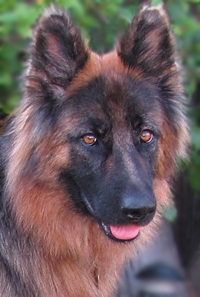 Kalani von Kossa is a stunning 18 month old German Shepherd. 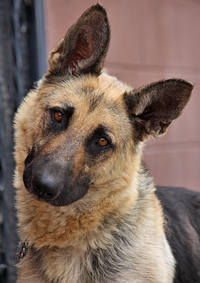 Gypsy von Gastwort is a beautiful 2 year old German Shepherd. 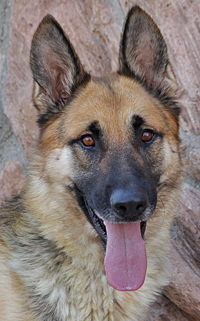 Merlot von Marbach is a gorgeous 2-3 year old German Shepherd. 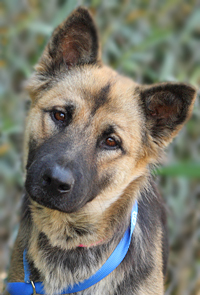 Lorelei von Lor is a delightful 7-8 month old Shepherd mix. 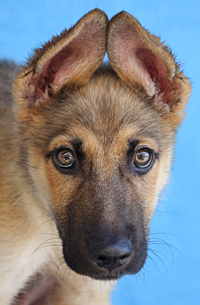 Bosco von Bruno is an ADORABLE 3-4 month old German Shepherd puppy. 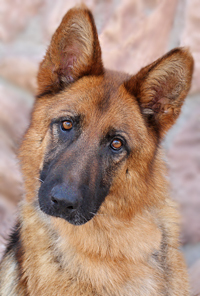 Boris von Benzin is an amazingly sweet 18 month old German Shepherd. 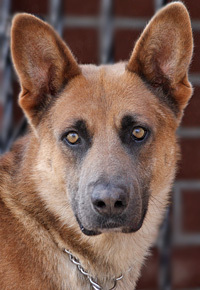 Bosco von Valentine is a stunning, XLarge 2.5 year old German Shepherd mix. 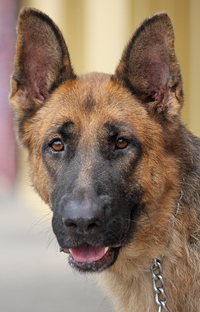 Brando von Brandis is a beautiful 18 month old German Shepherd. 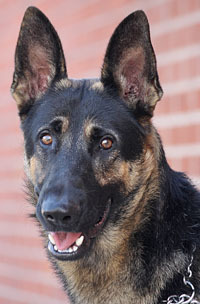 Bixby von Berger is a beautiful 2 year old German Shepherd. 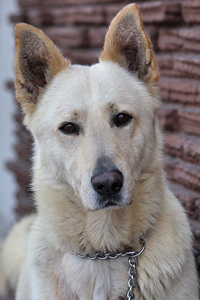 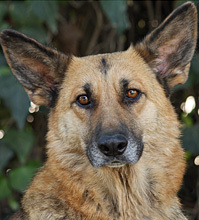 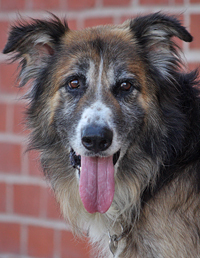 Fred von Furth is a very handsome 6 year old shepherd mixed with something cute and fluffy. 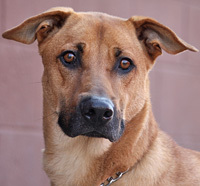 Gunther von Theodore is a beautiful 14 month old Shepherd mix. 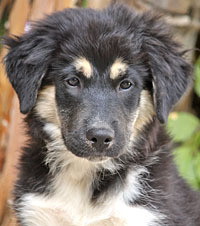 Luna Mae von Lutzen is a stunning little 10-12 week old Shepherd/Aussie mix puppy. 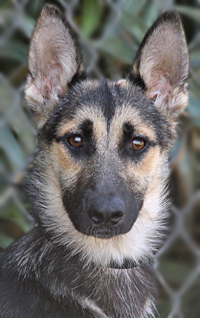 Zoey von Zwenkau is an adorable, smaller sized 8 month old German Shepherd. 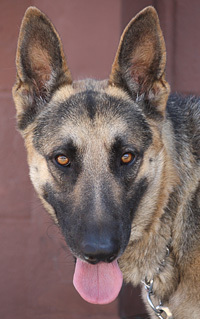 Timba von Thum is a beautiful, smaller sized 12 month old German Shepherd. 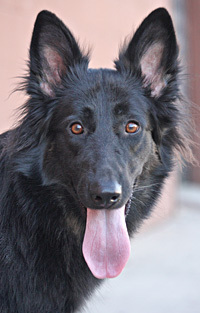 Gabriela (Onyx) von Roth is a beautiful 3.5 year old long haired German Shepherd. 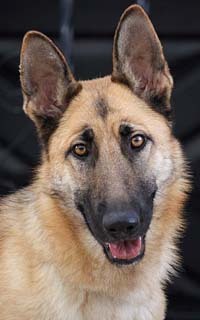 Georgia von Glinde is a stunning 2 year old German Shepherd. 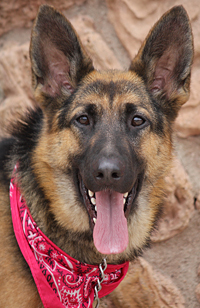 Lola von Louisa is a beautiful 14 month old smaller sized German Shepherd. 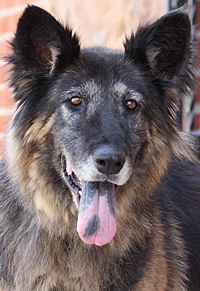 Maxine von Magd is a beautiful 7-8 year old long haired German Shepherd. 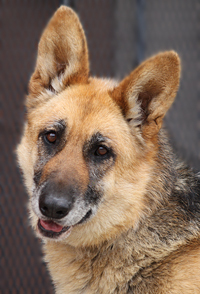 Portia von Perth is a stunning, sensitive 2 year old German Shepherd. 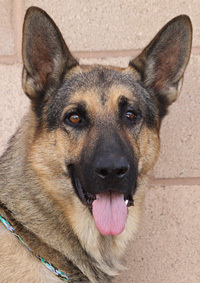 Chase von Kelbra is a very handsome 4-5 year old German Shepherd. 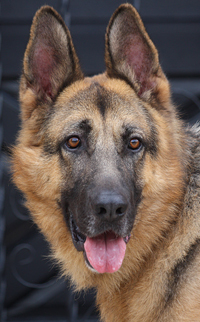 Rambo von Rudolf is a stunning 3 year old German Shepherd. 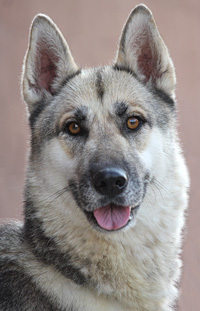 Sedona von Seelze is a stunning 4 year old German Shepherd with a touch of husky. 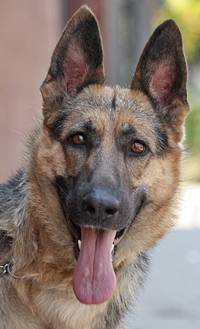 Sabina von Sofia is a beautiful 2 year old German Shepherd. 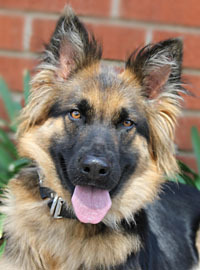 Ripley von Pleystein is a beautiful 12 month old German Shepherd. 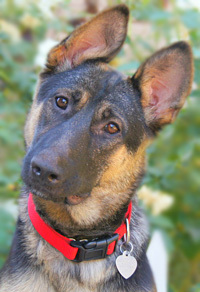 Tasha von Todtnau is a delightful 10 month old smaller sized German Shepherd. 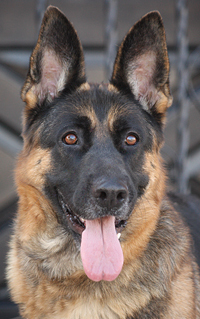 Lara von Langenau is a beautiful 3 year old German Shepherd. 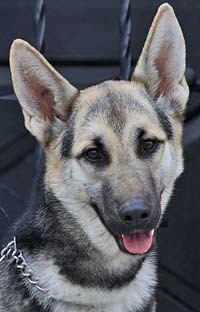 Tracy von Tripsees is an adorable 6-7 month old German Shepherd (mix?) 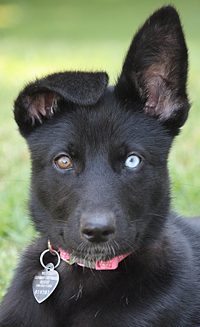 puppy. 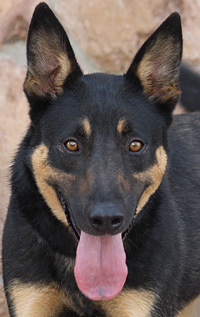 Clover von Clovis is a gorgeous 1-2 year old smaller sized black and red Shepherd mix. 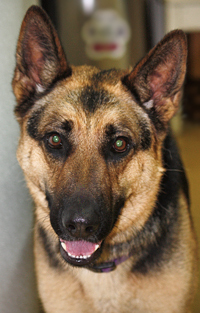 Marcy von Montag is a gorgeous 2 year old German Shepherd. 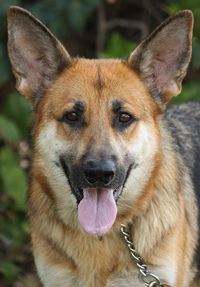 Bonnie von Barrow is a gorgeous 2-3 year old German Shepherd. 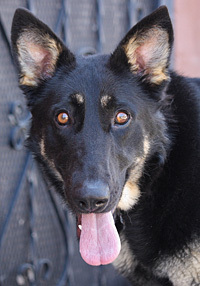 Vera von Wang is a beautiful 2-3 year old German Shepherd. 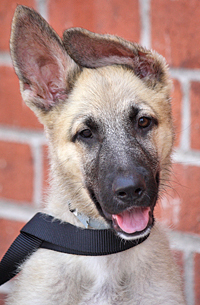 Guy von Gundelsheim is an enchanting 10 to 12 week old coated German Shepherd. 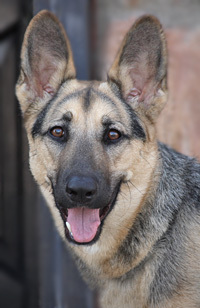 Poppy von Pockau is a beautiful 8 month German Shepherd. 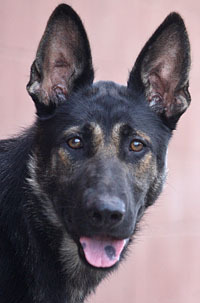 Messi von Rainer is a gorgeous 10-12 month old German Shepherd. 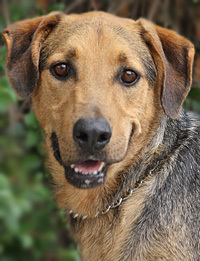 Amigo von Ambros is a delightful 14 month old Shepherd mix. 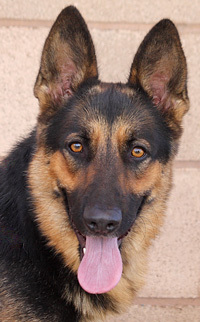 Reese von Runkeln is a very handsome 2 year old German Shepherd. 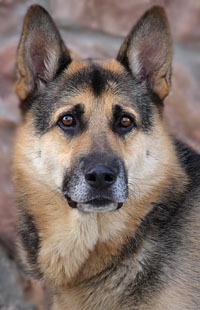 Milo von Mayer is a very handsome, smaller sized 3-4 year old German Shepherd. 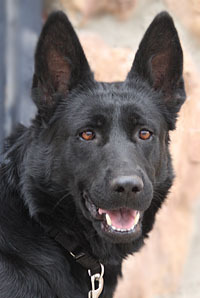 Semper von Stanna is a beautiful 2 year old black and red German Shepherd. 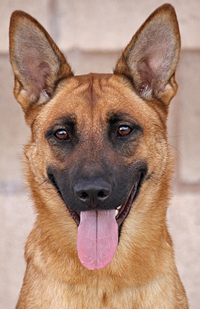 Elle von Elsje is a stunning 14 month old smaller sized red and black German Shepherd. 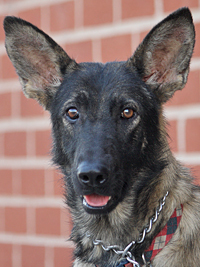 Clara von Clausthal is a stunning 12-14 month old German Shepherd. 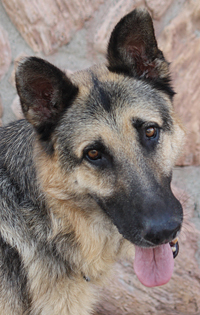 Cashmere von Calau is a stunning 3-4 year old German Shepherd. 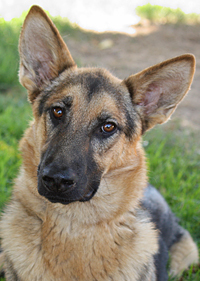 Lasey von Lassan is a gorgeous 12 month old German Shepherd. 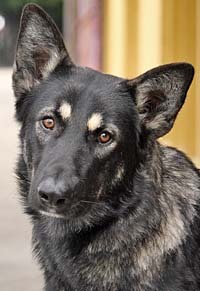 Lottie von Loitz is a beautiful 1-2 year old German Shepherd mix. 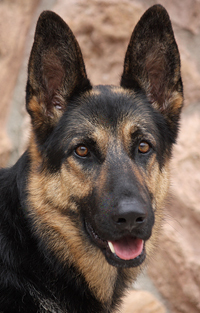 Dustin von Dorf is a gorgeous 18 month old German Shepherd. 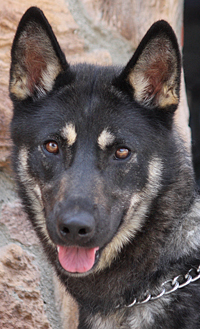 Falco von Alfeld is a stunning 7-8 month old German Shepherd with a touch of Husky perhaps. 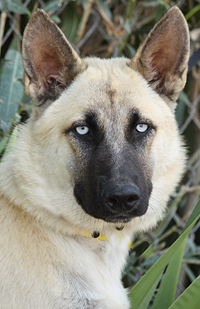 Bacchus von Bochum is a gorgeous 2 year old German Shepherd with possibly a little Husky thrown in. 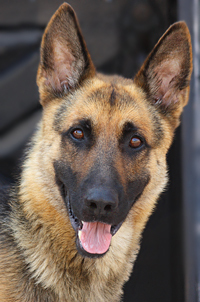 Kurt von Jurgens is a stunning 10-12 month old German Shepherd. 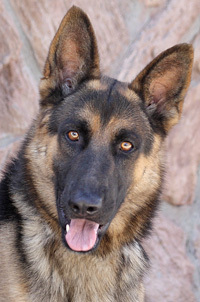 Brock von Bruchsal is a delightful 18 month old smaller sidez German Shepherd. 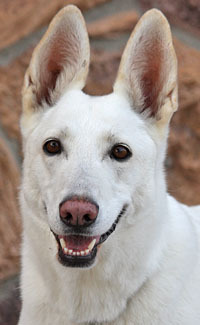 Bruin von Bruchsal is a wonderful 3 year old white German Shepherd. 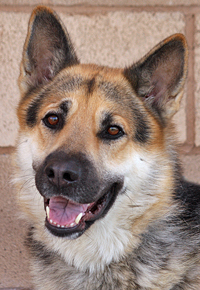 Cisco von Connor is a delightful 2 year old German Shepherd. 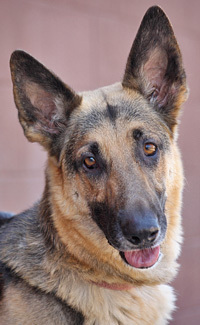 Cleo von Claus is a gorgeous 2 year old German Shepherd. 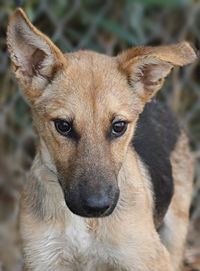 Rachel von Renchen is the cutest little 3-4 month old Shepherd mix puppy. 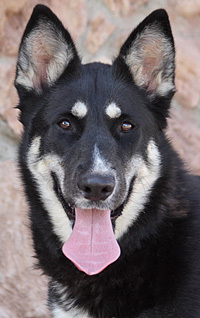 Sophie von Scheer is a gorgeous 12-18 month old German Shepherd with maybe a touch of Husky. 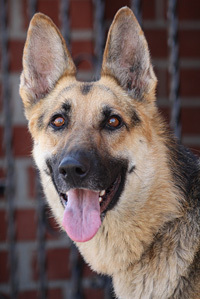 Rosie von Rosenthal is a beautiful 2-3 year old German Shepherd. 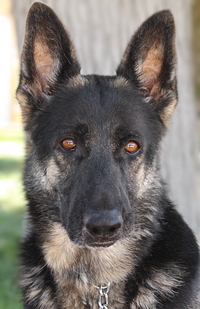 Kayla von Kasimira is the cutest 4-5 year old smaller sized coated German Shepherd. 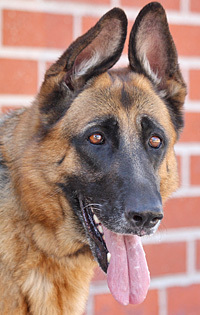 Gia von Genf is a gorgeous 6 year old German Shepherd. 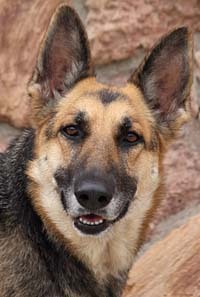 Sheena von Speyer is a beautiful 3 year old German Shepherd. 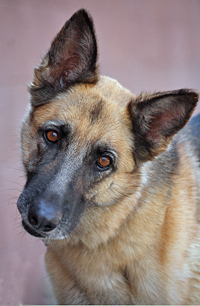 Baci von Barbie is a gorgeous 4 year old German Shepherd. 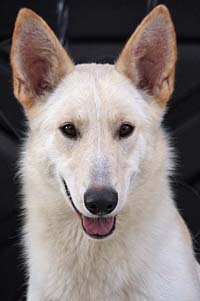 Blanco von Schnee is a delightful 2 year old Shepherd mix. 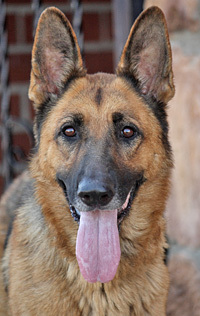 Klinger von Kuno is a beautiful 3 year old German Shepherd. 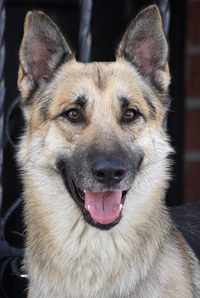 Kobe von Korbl is a gorgeous 3 year old German Shepherd. 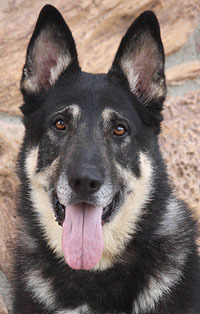 Mateo von Mooseburg is a very handsome 3-4 year old German Shepherd. 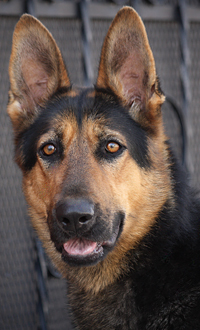 Bullett von Butzow is a gorgeous 2 year old German Shepherd. 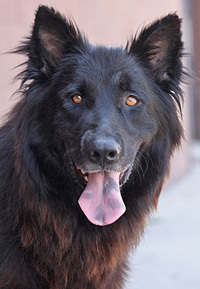 Samson von Starke is a stunning 3-4 year old long haired sable German Shepherd. 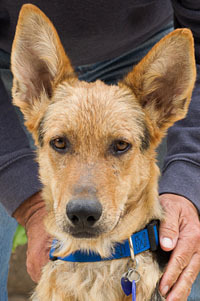 Barney von Bardulf is the cutest 9 month old Shepherd mix. 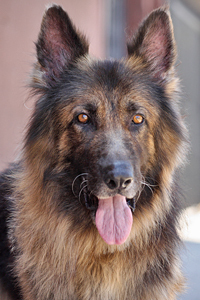 Apache von Alaric is a stunning 6 year old long haired German Shepherd. 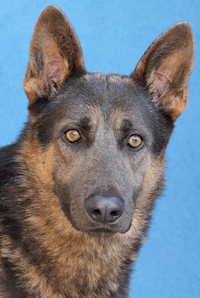 Asher von Asperg is a gorgeous 1-2 year old "blue" German Shepherd. 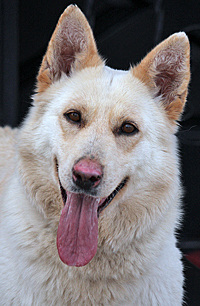 Whiskey von GoGo is a beautiful 18 month old coated German Shepherd. 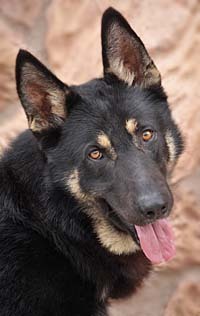 Lobo von Loritz is a beautiful 1-2 year old German Shepherd. 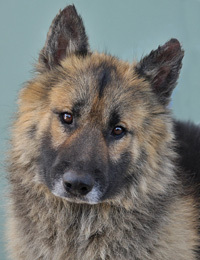 Rocky von Roger is a gorgeous 2 year old German Shepherd. 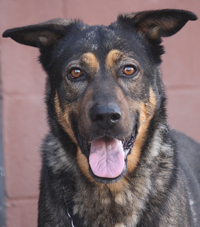 Marlee von Melusine is a beautiful 5 year old German Shepherd mix. 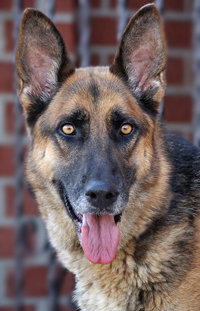 Tatum von Tenzer is a wonderful 2 year old German Shepherd. 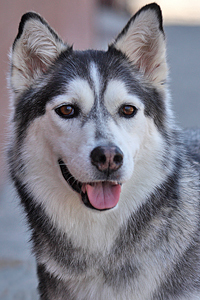 Missy Mae von Perry is a delightful 4 year old Husky. 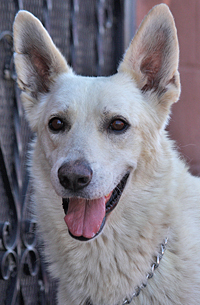 Winter von Snow is a beautiful 6-7 year old white German Shepherd. 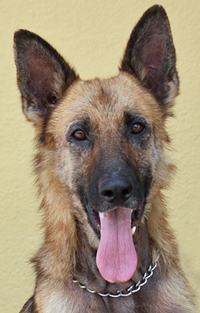 China von Chirug is a stunning 16 month old German Shepherd. 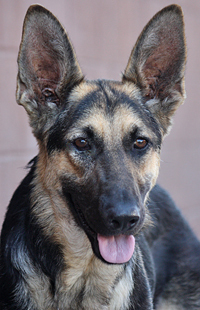 Julia von Jutta is a gorgeous 9-10 month old German Shepherd. 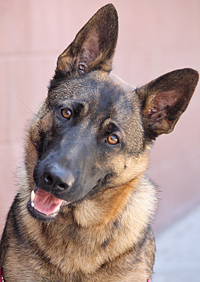 Apollo von Philo is a gorgeous 18 month old German Shepherd. 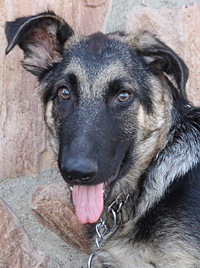 Carina von Rheine is the cutest 6-7 month old German Shepherd. 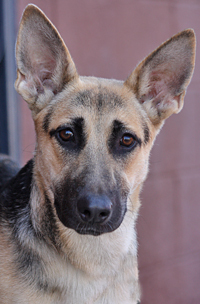 Victoria von Vilseck is an adorable 6-7 month old German Shepherd. 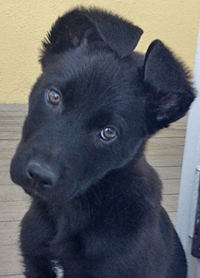 Sigi von der Hund is an adorable 9-10 week old sable German Shepherd puppy. 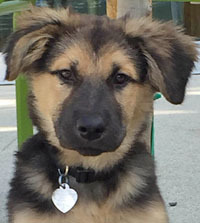 Oden von Treton is a delightful 4 month old German Shepherd puppy. 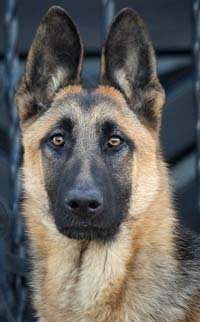 Lanzo von Luckau is beautiful 7 month old German Shepherd puppy. 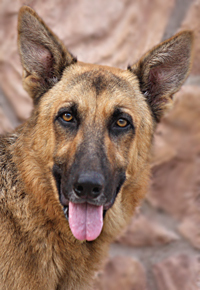 Aries von Arnstein is a stunning 3-4 year old German Shepherd. 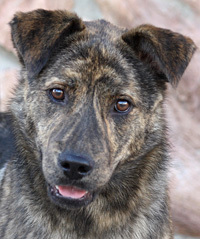 Eddy von Halen is an adorable smaller sized 12 month old Shepherd mix. 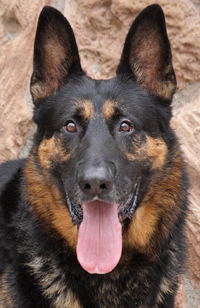 Ranger von Rees is a very handsome 3 year old German Shepherd. 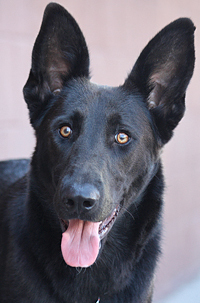 Midnight von Minden is a gorgeous 2-3 year old German Shepherd. 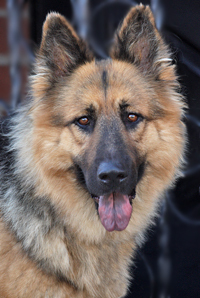 Kingster von Kulbert is a stunning 18 month old German Shepherd. 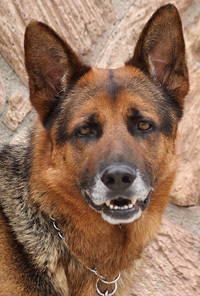 Trojan von Treffen is a very handsome 7 year old German Shepherd. 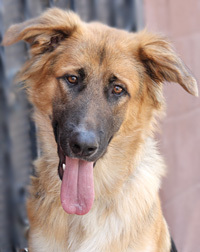 Shaggy von Schuster is an adorable 9-10 month old long haired German Shepherd. 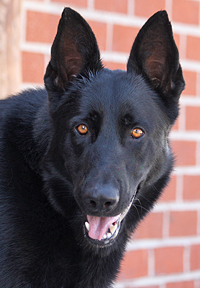 Bo von Brock is a gorgeous 18 month old German Shepherd. 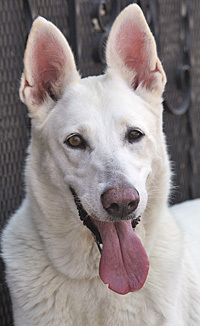 Yuki von Kiefer is a beautiful 3 year old white German Shepherd. 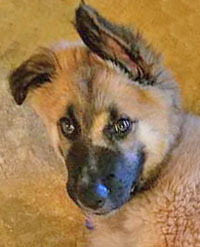 Amara von Annaburg is a delightful 9-10 week old German Shepherd puppy. 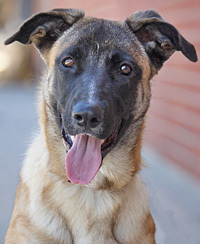 Marla von Minna is a silky, sable-coated, 4-month old German Shepherd/Malinois mix. 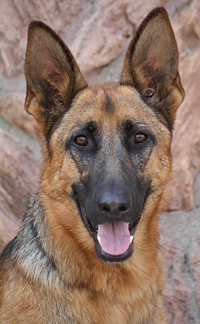 Dagmar von Angel is a beautiful 16 month old German Shepherd. 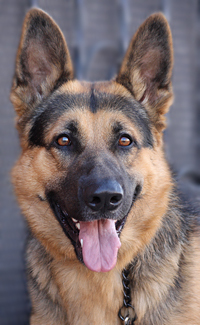 Bella Mae von Blasa is a beautiful 3 year old German Shepherd. 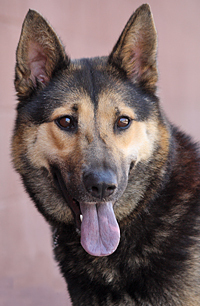 Kendall von Kino is a beautiful 2-3 year old German Shepherd. 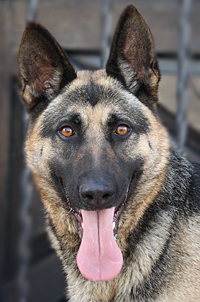 Paige von Pepin is a gorgeous 2 year old German Shepherd. 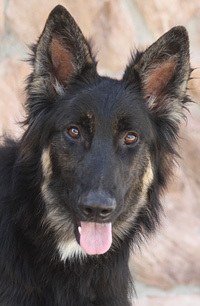 Wren von Anderson is a stunning 8.5 month old sable German Shepherd. 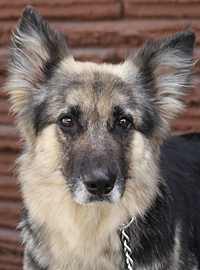 Rosie (Taavi) von Roth is a gorgeous 5.5 year old long haired German Shepherd. 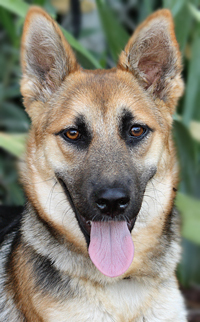 Missy von Jennel is a beautiful 18 month old German Shepherd mix. 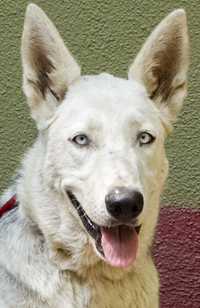 Sierra von Sibylle is a gorgeous 2-3 year old Husky mix. 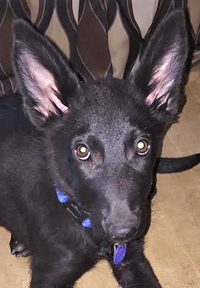 Falk von der Hund is an adorable 9-10 week old sable German Shepherd puppy. 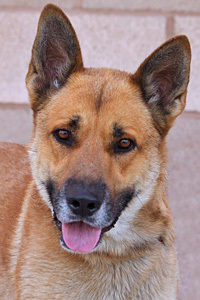 Andy von Alsberg is a gorgeous 2 year old Shepherd mix. 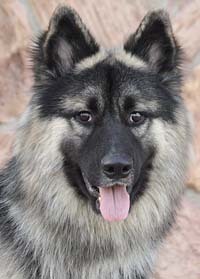 Domino von Panda is a stunning, larger sized 14-18 month old "Panda Shepherd". 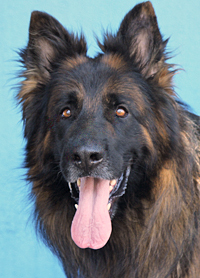 Falcon von Crest is a gorgeous 6 year old long haired German Shepherd. 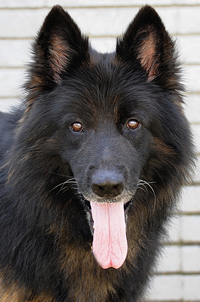 Blacky von Baldwyn is a sweet gentle 4 year old German Shepherd on the larger side. 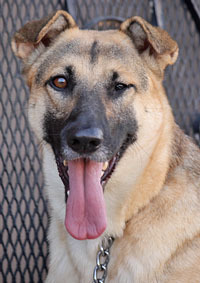 Zoey von Zelinda is a beautiful 1.5-2 year old Shepherd mix. 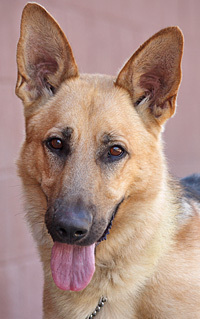 Winnie von Pooh is a stunning 3-4 year old German Shepherd. 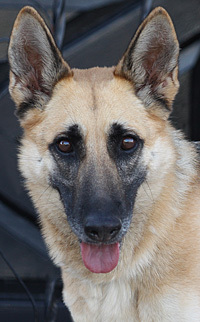 Kayana von Kathe is a beautiful 3-4 year old German Shepherd. 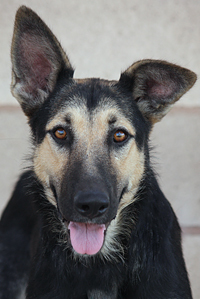 Beauty von Beate is a gorgeous 12 month old German Shepherd on the smaller side. 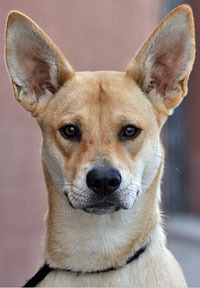 Scarlett von Jessen is a gorgeous 1-2 year old Shepherd mix. 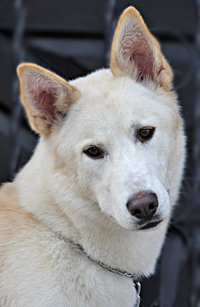 Kaya von Kirsa is a gorgeous 12 month old Husky mix on the smaller side. 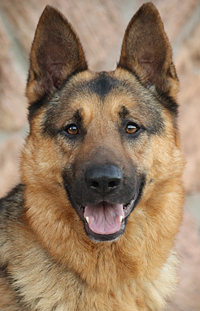 Bryon von Bruck is a stunning 2 year old German Shepherd. 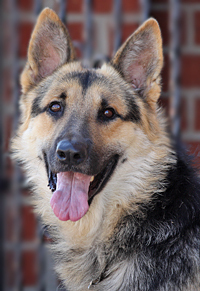 Frasier von Fein is a beautiful 2 year old German Shepherd. 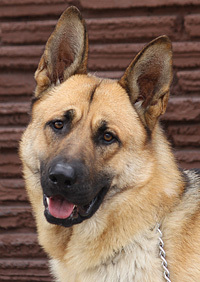 Dylan von Deryk is a very handsome 2-3 year old German Shepherd. 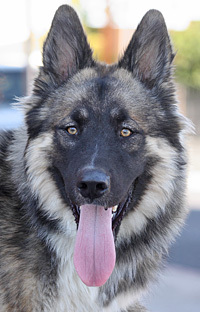 Louie von Louise is a stunning 2 year old long haired German Shepherd. 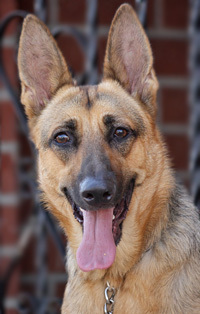 Gretchen von Genivee is a delightful 3-4 year old German Shepherd. 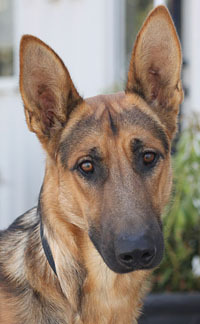 Savannah von Solvig is a wonderful 12 month old German Shepherd. 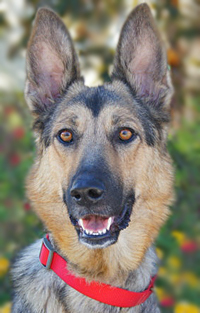 Zoe aka Bella von Zert is a gorgeous 3.5 year old German Shepherd. 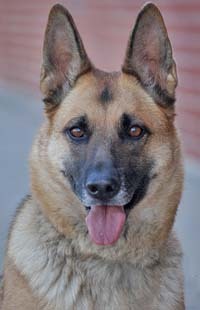 Jewel von Jenssen is a gorgeous 5 year old German Shepherd. 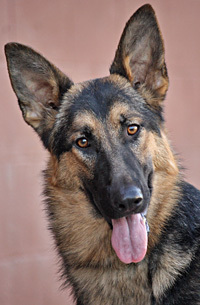 Tammi von Castillo is a gorgeous 18 month old German Shepherd. 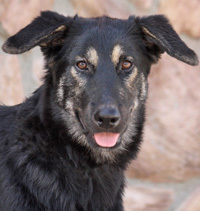 Mitzi von Munsenberg is an adorable, smaller sized 10 month old sable Shepherd mix. 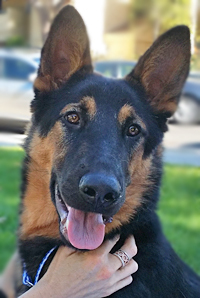 Leon von Lenz is a gorgeous 5 month old German Shepherd pup. 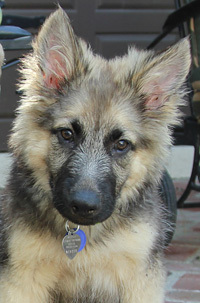 Thor von Treton is the cutest 4 month old German Shepherd puppy. 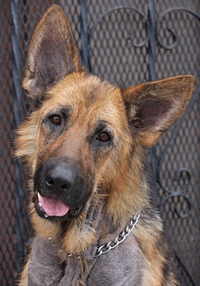 Chevy von Carsten is a beautiful 2 year old German Shepherd. 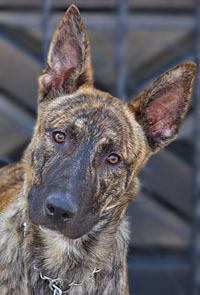 Harley von Hank is a delightful 8 month old Dutch Shepherd mix. 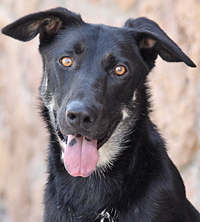 Jasper von Jessen is a very handsome 1-2 year old Shepherd mix. 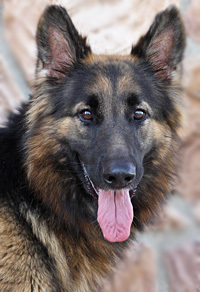 Mikey von Mittweida is a stunning 16 month old long haired German Shepherd. 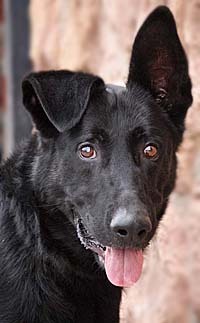 Buddy von Luz is a gorgeous 4-5 year old black and red German Shepherd. 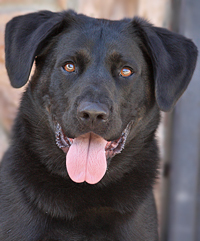 Lucky von Lukas is a wonderful 5 year old Mastiff/Lab mix. 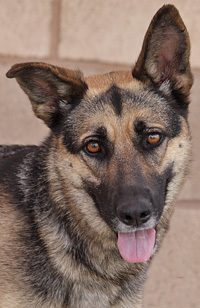 Rita von Rhames is a delightful 2 year old, smaller sized German Shepherd. 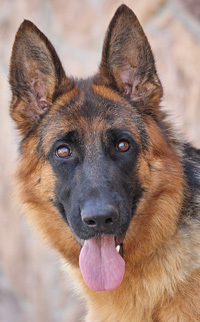 Princess von Vala is a stunning 2 year old German Shepherd. 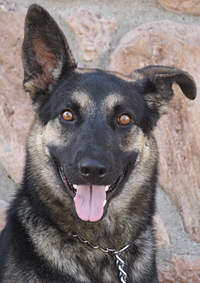 Ruby Tuesday von Rilla is a delightful 2-3 year old German Shepherd mix. 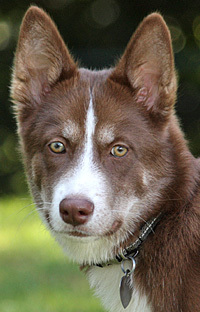 Blaze von Baldwyn is an adorable 4 month old Husky mix puppy. 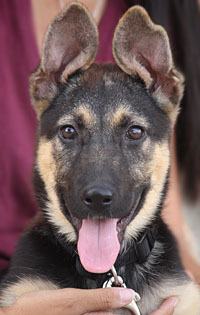 Chopper von Harley is a delightful 12 week old German Shepherd mix puppy. 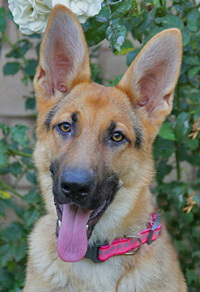 Gabe von Garror is a delightful 10-11 month old German Shepherd. 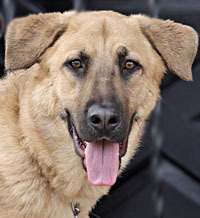 Tahoe von Timber is a gorgeous 3-4 year old Shepherd mix. 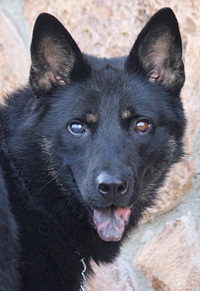 Lucky von Luitpold is a stunning 2 year old red and black German Shepherd. 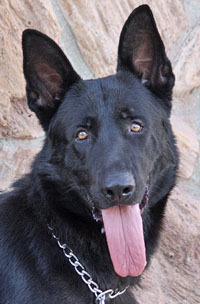 Jax von Jeremius is a very handsome 3 year old German Shepherd. 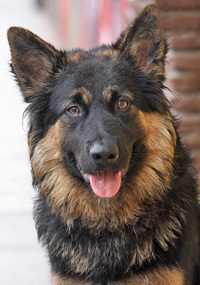 Charlie von Chambless is a beautiful 9-10 month old German Shepherd. 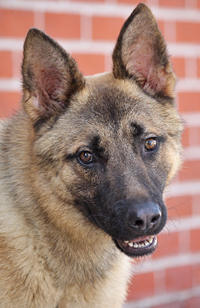 Zeus von Zelig is a wonderful 1-2 year old German Shepherd. 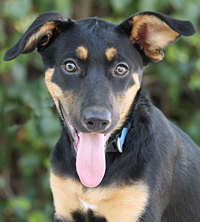 Angelica von McFarland is a beautiful 4 month old Shepherd mix puppy. 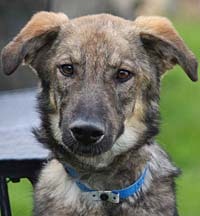 Rory von Rolanda is an adorable 6 month old Shepherd mixed with a small breed. 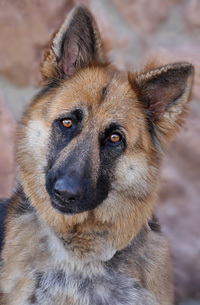 Scarlette Ann von Suse is a gorgeous 2 year old German Shepherd. 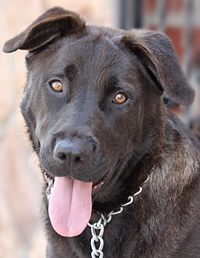 Chelsea von Cundry is a wonderful 7-8 month old Lab mix. 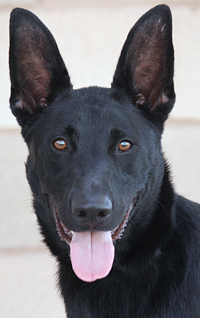 Lexi von Leyna is a beautiful 7.5 month old German Shepherd on the smaller side. 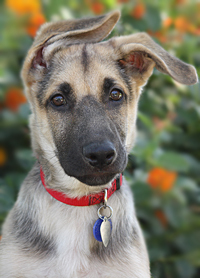 Breeze von Zenzi is an adorable 4 month old Shepherd mix puppy. 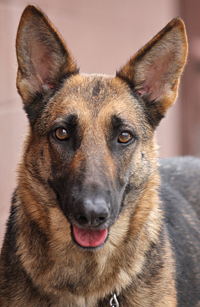 Kina von Kopp is a stunning 16 month old German Shepherd. 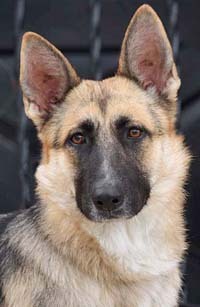 Arabella von Amara is a stunning 14 month old German Shepherd. 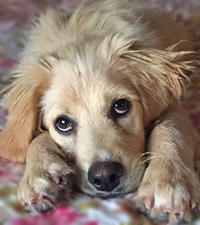 Hooper von Homberg is a 4 month old golden retriever mix. 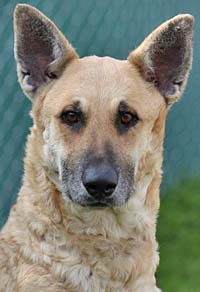 Rocky von Reino is a very handsome 4-5 year old Shepherd mix. 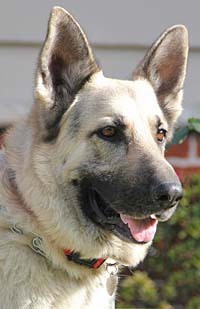 Mozart von Mann is a gorgeous 3 year old German Shepherd. 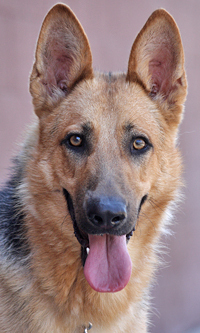 Richie von Rhein is a stunning 2-3 year old German Shepherd. 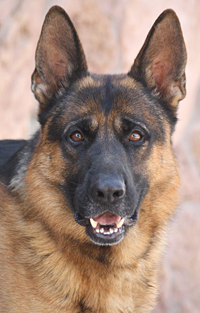 Jonah von Johann is a beautiful 18 month old German Shepherd. 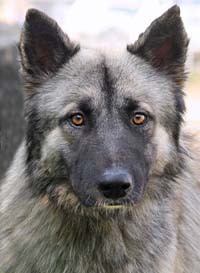 Appa von Addler is a gorgeous 18 month old long haired German Shepherd. 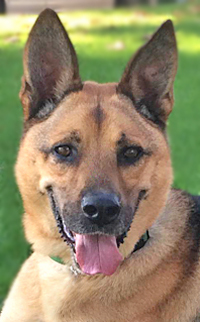 Kingsley von Kellen is a delightful 18 month old German Shepherd mix. 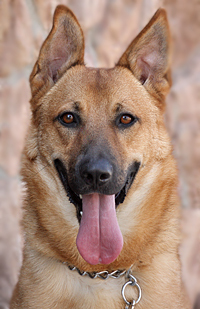 Roger von Rotger is a stunning 2-3 year old German Shepherd mix. 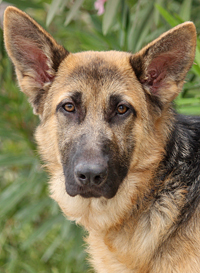 Arrow von Alzey is a gorgeous 14 month old German Shepherd. 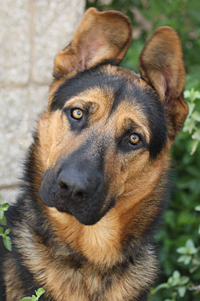 Cooper von Crivitz is a delightful 14 month old German Shepherd. 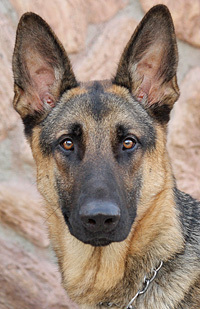 Yohann von Norbert is a picture perfect 18 month old German Shepherd. 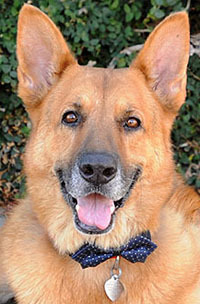 Brando von Netobaum is a very handsome 7 year old medium sized German Shepherd. 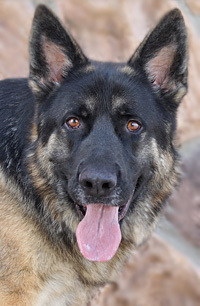 Rock von Rotz is a very handsome 2 year old German Shepherd. 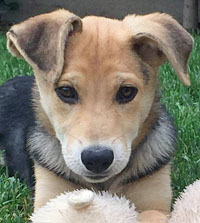 Laurie von Lunen is the cutest little 10-12 week old Shepherd mix puppy. 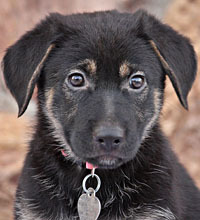 Gretel von Gaelie is an adorable 9 week old, smaller sized Shepherd mix puppy. 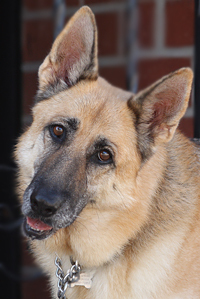 Angie von Amara is a beautiful 5-6 year old German Shepherd. 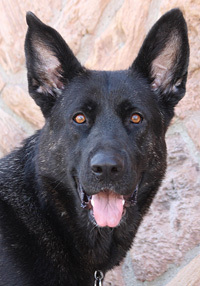 Carlotta von Tabea is a stunning 5 year old black and red German Shepherd. 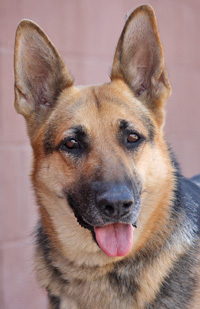 Nona (Lana) von Niesky is a beautiful 5.5 year old German Shepherd. 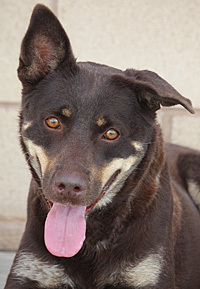 Sonja von Schwall is a wonderful, smaller sized 2-3 year old lab mix. 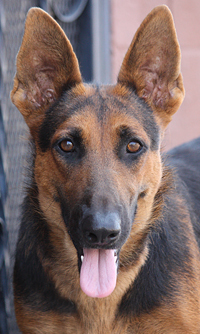 Mena von Menno is a beautiful 12 month old German Shepherd. 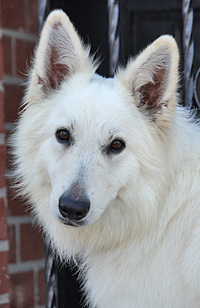 Oden von Oschatz is a stunning 2 year old long haired white German Shepherd. 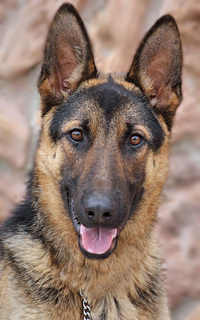 Freedom von Freund is a very handsome 2 year old smaller sized German Shepherd. 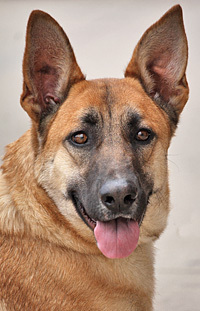 Zoli von Zurich is a very handsome smaller sized 2-3 year old Shepherd mix. 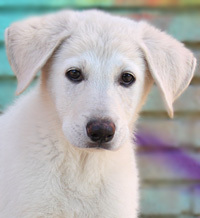 Snowflake von Sara is a wonderful 10 week old white Shepherd puppy. 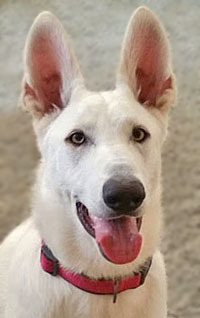 Chanel von Chloris is a 5 month old classic German Shepherd puppy. 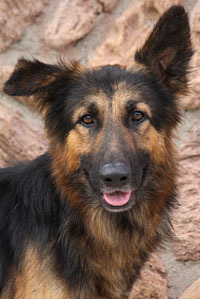 Ellie von Essen is a delightful and so sweet 2 year old long haired German Shepherd. 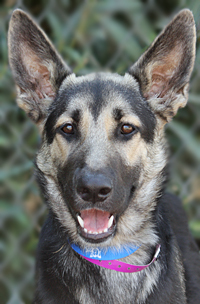 Cherie von Chez is a delightful 12-14 month old German Shepherd. 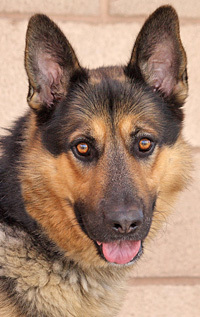 Bruce von Brakel is a stunning 2 year old German Shepherd. 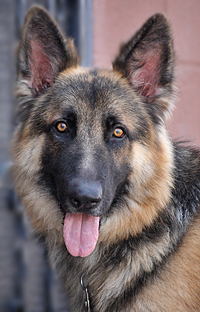 Gordo von Gotz is a beautiful 18 month old German Shepherd.